Aluminum Boat Building – Why Choose This? Aluminium is the metal of the age. This is because it is very light weight yet has the same, if not better durability of metal. For many years aluminium has been the first choice for air craft and rockets and today most civil and military aircraft are made from aluminium. Similarly, aluminium has been used in boat building for a number of years and there are many valid reasons. Can I really fit that 50 foot launch in my back yard? Can I afford the materials to build the boat? Do I have the skill and time to be able to put it all together? The material is a very important element to factor in. For the price, aluminium is an ideal substance. It is cheap, it is light, it is very durable, it will last and it is easy to mould and use. Aluminium is a soft metal that is easy to work with and the instead of wood, the final product will not need hours of hand sanding. So the boat may actually end up costing you less than if it was built with wood. The costing of aluminium boat building will be reasonable. To tear apart a piece of metal you need around 60,000 psi (pounds per square inch) and to form a piece you need 45,000 psi. 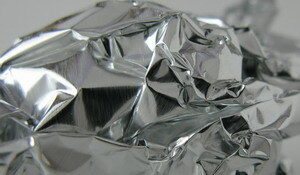 Aluminium requires less as 45,00 psi to tear and 30,000 to deform. Looking at these numbers you can see that for comparable sizes, aluminum has a higher yield strength. This alone makes it an idea land safe substance for boat building. If you build a bare boat hull, to the same specs and strength standard out of both aluminium and steel, the steel hull will weigh 45% more than the aluminium one. This alone is a huge saving as material is generally purchased via weight. Can You Really Build Your Own Boat? Which boat design will you build?